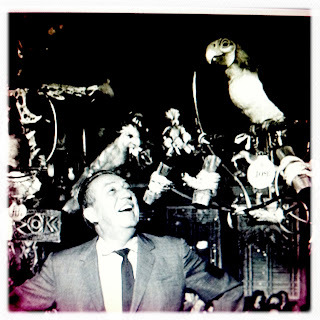 With the recent refurb/overhaul of The Enchanted Tiki Room, Under New Management to the superlative Walt Disney's Enchanted Tiki Room one might be concerned with the limited amount of times an attraction can be redone before getting the axe. We all know the "long" lines at the new attraction will wane in the next few months (weeks?) once the super fans have gotten their fill. After 13 years of New Managment the crowds were long gone, and the idea that reversing the Iago effect will bring people back is ridiculous. The average park guest could care less about park history, let alone individual attraction history. As far as most people are concerned the only thing in Adventureland is the Pirates of the Carribean. 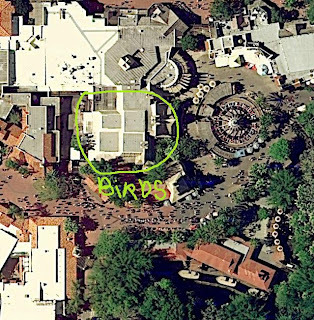 With that said, the Tiki Birds are my personal favorite attraction in Adventureland and third favorite in the Magic Kingdom. Here are some reasons why it can never go away. One: The ability to wake up Jose at the beginning of the show. Isn't this more interactive the Haunted Mansion queue? Two: The Company's long history with all things "Tiki." Sure, I mentioned that average park guests couldn't care less about park history. But if there is anything that the company wants, its continuity with its product. The birds have the same carefree feel as the Polynesian resort, or say, Annette. "Tiki" is one of the five tropes of the Disney company. Four: What else are you going to do with the space? Basically Adventureland has everything it needs already. What else could go here? Nothing. Five: Jose, Pierre, Michael, Fritz, Iago, and Zazu. Rarely are popular movie characters TAKEN OUT of attractions. Imagineers are smart enough to look at an important old attraction, and realize that the bastardized version just wasn't working. The gravity of this decision is amazing and opens up a million opportunities for park improvement. Maybe, just maybe, we can say goodbye to Stitch in Tomorrowland? (I could see this happening in the next few years.) I take this as an act of humility on the part of the company...a rare and beautiful sight. This wasn't supposed to be a real blog post....but I love the Tiki Birds very much. I am super excited to see the new refurbed version in a few weeks. I hope this attraction is around for a very long time...otherwise I might have to chain myself to it. Dolewhip in hand.